The Maya Kitchen will have a cooking class series for kids ages 5 - 12 years old and Junior Master Chef Kyle Imao will be at the helm. He will teach the kids to make Crispy Chicken Tenders, Chicken Parmigiana, Shibuya Toast, among other yummy but easy-to-make recipes for kids. Kyle Imao comes from a talented family. His late grandfather Abdulmari Asia Imao is National Artist of Sculptor and is mother is an art gallery curator. He learned how to whip up dishes from his dad Kim though. Kyle began experimenting dishes on how own until he came up with his creative interpretations and original flavors. When he is not busy with school work and cooking, he also finds time to sketch. 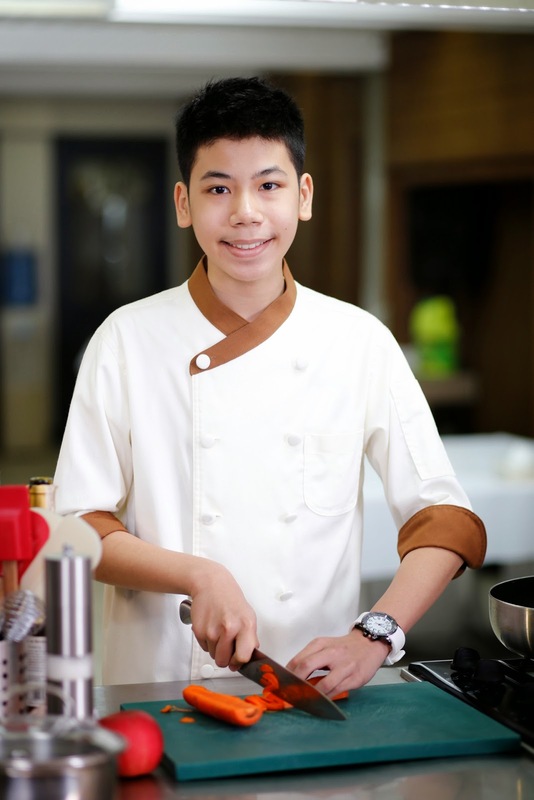 For the kids cooking class series, it will be on May 12 to 15, 2015, from 9am to 2pm. Class is is P6,000 and includes ingredients, apron, toque and certificate. Slots are limited so make sure to register now are: www.themayakitchen.com or email: contactus@themayakitchen.com. You may also visit The Maya Culinary Center every Tuesday to Saturday, at 8F Liberty Bldg., 835 Arnaiz Avenue, Makati City. You can also call 8921185 for more details.